It’s a sight hardly likely to instil loyalty in our B&B guests, but I’m rather fond of wearing my Ron Hills; black lycra leggings, worn for outdoor sport during chillier times, that create an image less Beckham-esque and more like a ginger Max Wall, glowing after a particularly animated performance. It’s difficult not to get motivated when the Eastbourne promenade is at the end of the road, practically beckoning you out of the door to get fit. But then there are decisions to be made – military circuits (Tuesday 6am, Friday 6pm) led by ‘Iron’ Mike Ovens, Interval training on Wednesday evenings (again with Mike and an eclectic mix of enthusiastic runners) or perhaps on with the rollerblades and a quick scoot up to Sovereign Harbour for coffee and cake (there are benefits to be had from all this exercise mallarkey – calories in, calories out, etc)! After vowing to never struggle through 26 miles again, I’m officially back in training after a friend decided he’d much rather have a lads weekend in Berlin than run the Brighton Marathon in April – and yours truly has picked up his ticket. 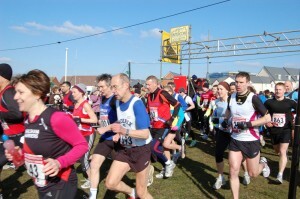 There are some great running events coming up in 2013 to incorporate into a training schedule. The Eastbourne Half Marathon (Sunday, 3rd March) is now open for registrations, allowing you to take in the seafront, Meads and Sovereign Harbour areas, and later in March the Coastal Trail Series returns to take in our glorious scenery with a choice of 10k, half-marathon, marathon and ultra (almost 34 miles – are you insane??) 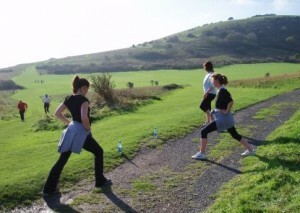 around the Seven Sisters, Friston Forest and Beachy Head. If you don’t fancy charging along on two legs, how about two wheels? 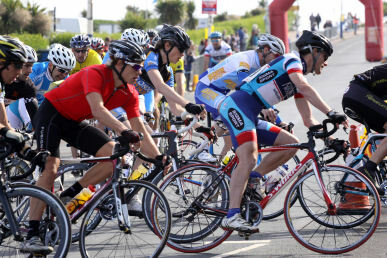 The Eastbourne Cycle Festival returns again in May next year; a free event that offers the chance for cyclists to take part in a variety of activities, from time trials to road races, including a tempting duathlonan – an 18k bike sandwiched by two 2.5k runs adding a touch of competitive diversity to the weekend. 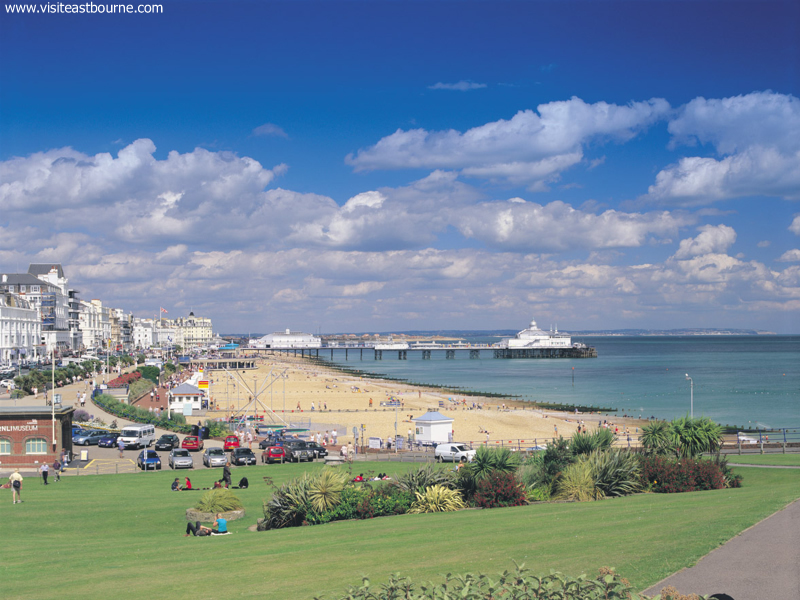 If you fancy any of the events and need accommodation in Eastbourne please do call on 01323 722774 or email book@theguesthouseeast.co.uk bag yourself a suite at our guest house. I provide free power-packed porridge to all participants and partners can take it easy with the papers and a pain au chocolate. It’s old-school 5-a-side football for me tonight with a load of 40-something mates and during the half an hour I’ve sat typing this blog I have conscientiously carbo-loaded for the event with a family-sized bar of Fruit and Nut and an espresso. In my Ron Hills. What a sight for sore eyes.